Public meeting set to discuss Armley Town Street future | West Leeds Dispatch | News. Views. Get involved! 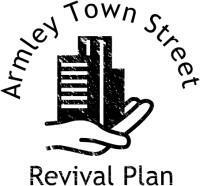 A public meeting is set to be held to discuss residents’ ideas and thoughts on the future of Armley Town Street. Organised by Leeds West MP Rachel Reeves and local councillors, the meeting follows a wide-ranging public consultation which saw more than 1,000 local people have their say on the future of the street, which has been troubled by anti-social behaviour, rubbish dumping and derelict buildings. The consultation saw people encouraged to fill in a questionnaire, both online and in person, which asked what people thought were the main issues affecting the area and ideas on how to tackle them. Answers will feed into the Armley Town Street Revival Plan, which aims to make Town Street the ‘best town centre in Leeds’. “Now that we have identified what local people feel is wrong with the area, it is now time that we work together in order to come up with solutions that we can get implemented quickly. Ms Reeves is asking residents to confirm their attendance by calling her office on 0113 2552311 or emailing rachel.reeves.mp@parliament.uk so she can tell Armley Library how many people to expect. i use to love going on armley town street not anymore why!! It’s full of foreign shops , gangs of polish, Romanians etc drinking on corners of the street . You walk on there feeling so intimidated I’m not the only one feeling like this . I now either go to farsley pudsey or town and by pass armley . Such a shame !! !